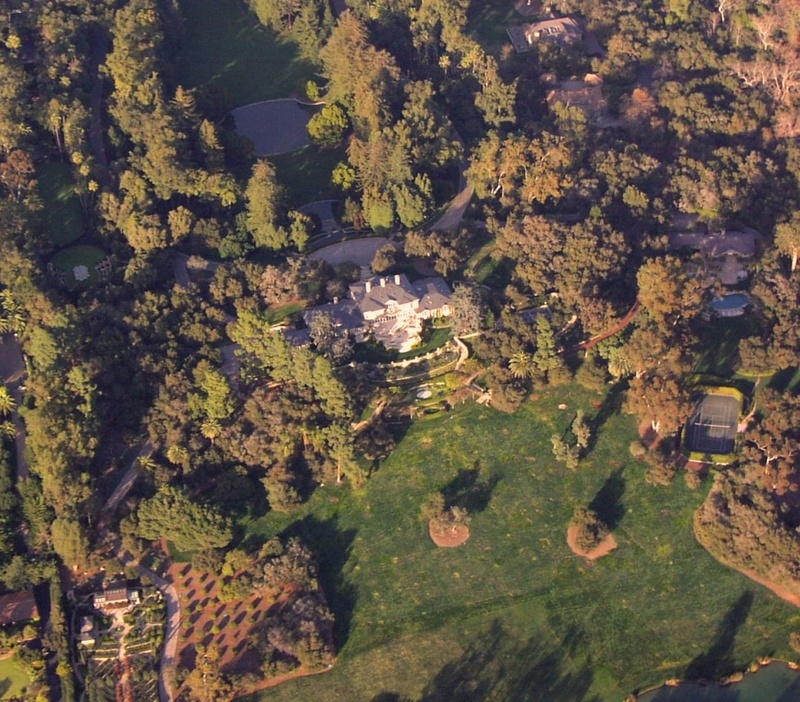 Oprah's estate, from the window of a small plane, located in Montecito, California. View from SSW. January 6, 2009. Recently in the central California town of Porterville, the Office of Emergency Services delivered 12-gallon-per person rations of bottled water to at least 180 residents who couldn't get drinking water. Their home taps had run dry because the drought has dried up their individual wells. Meanwhile, about one hundred miles southwest of Porterville, it's a very different story in the tiny coastal community of Montecito. According to the Montecito Water District, under strict conservation orders, residents there have cut their water use by nearly fifty percent. But that doesn't account for the thousands of gallons wealthy residents are trucking in to keep their lawns plush and their polo fields green. Journalist Ann Louise Bardach wrote about the "Lifestyles of the Rich and Parched: How the Golden State's 1 percenters are avoiding the drought" for Politico Magazine. According to Bardach, that trucked-in water is being sold to the very wealthy, like Oprah, by neighboring farmers and ranchers -- and it's water normally used for agriculture. But many wealthy residents who aren't trucking in enough water to sate their appetites are just defying water restrictions and racking up fines instead -- month after month, as the drought goes on. The Montecito Water District confirms that they expect to bring in nearly $4 million in penalties this year. Is technology in classrooms a good idea?